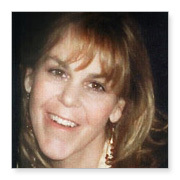 Terry Dunlop - Donor - The Eye-Bank for Sight Restoration, Inc.
Terry had gorgeous eyes but more than beauty, was her love for others. Terry wanted to donate every part of her that could be of use to someone else. Unfortunately, Terry had pancreatic cancer and received radiation and chemotherapy treatments. Because of her I recently signed up to be a donor of whatever can be used. In fact our whole family has signed up to be donors.